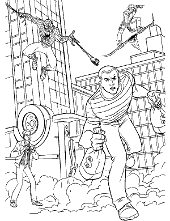 That’s what we call the totally amazing set of coloring pages for children! And especially for boys but all girls are welcome here with the open hands too of course. 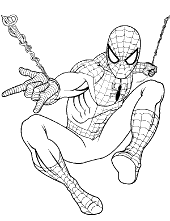 The real superhero is fighting with evil and brings justice, peace and equality to the citizens of the New York City. 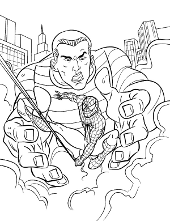 A lot of excitement and great quality on each Spiderman coloring page is guaranteed! 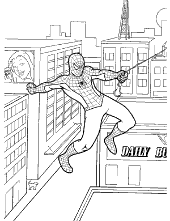 And after coloring, there is also an extra bonus – quiz + several interesting facts about Spiderman. All for free! 1. 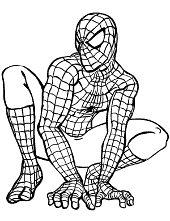 What was the reason that Spider-Man became a crime fighter? 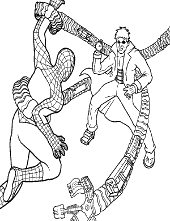 Peter Parker was bitten by a radioactive spider and gained superpowers. 2. 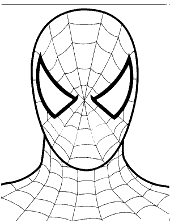 What are the names of Peter Parker’s step parents? 4. Is Venom a friend or an enemy of Spider-Man? 5. 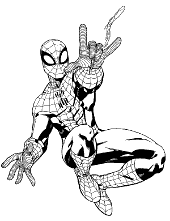 What does Spider-Man shoot from his wrists? 6. 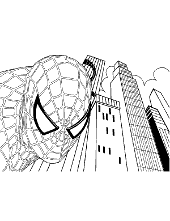 What city does Spider-Man live in? 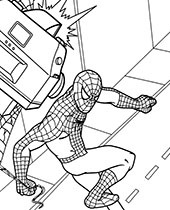 In 2012 we celebrated the 50th anniversary of Spider-Man’s debut. 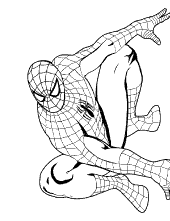 He first appeared in 1962 in the comic book Amazing Fantasy. 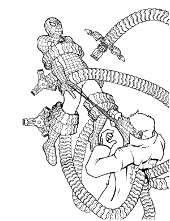 Peter Parker’s parents were spies working for a secret government organization called S.H.I.E.L.D. Unfortunately, they both died in a mysterious plane crash. Since then Peter Parker lived with May and uncle Ben. Apparently, Peter Parker has a very romantic soul because before he finally married Mary Jane Watson he conquered many other women’s hearts. 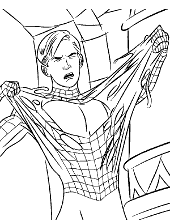 He was flirting with Gwen Stacy, Betty Brant, and Felicia Hardy. 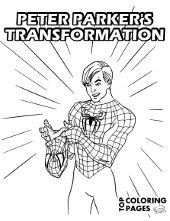 One of Peter Parker’s professions was teaching. If only every school had such teachers, children would definitely attend classes more likely. 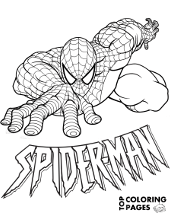 On production of The Amazing Spiderman movie were working more than 1000 people. For the needs of the same movie were created 56 suits of the main character, including 17 for the main actor and the rest for the stuntmen. 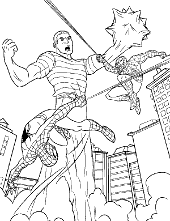 As a matter of fact, Spider-Man has already died several times! 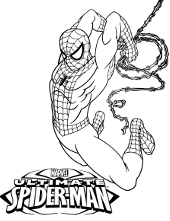 For example in the story lines “Superior Spider-Man” and “The Other”. Fortunately, this never meant the definitive end of his marvelous adventures. 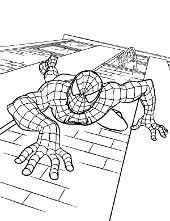 Stan Lee (an American comic-book writer) confirmed that the correct way of writing his name is actually Spider-Man. 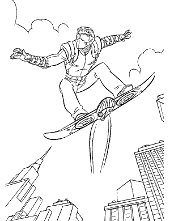 This supposed to help to avoid confusing him with the Superman. 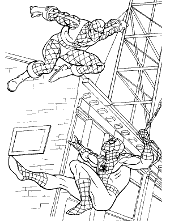 Printable Spiderman coloring sheets – that means a lot of energy and exciting emotions. But are you ready for it? 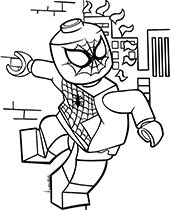 Noble Peter Parker again sacrifices his convenient life and acts bravely whenever the citizens of New York City are in danger. No matter what, he always fights evil in every form and helps the local police to bring order and justice. 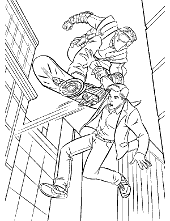 Police squads not always can handle the situation and sometimes they urgently need the help of a true superhero. 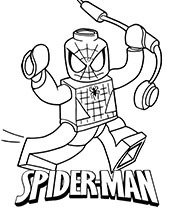 So he uses his special abilities and lots of Spiders’ Web. 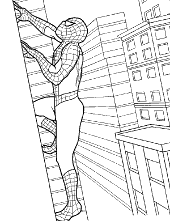 With Spider-Man coloring pages, you definitely won’t get bored too quickly. 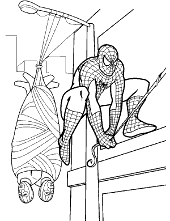 There’s no time to waste so grab your crayons in hand and let’s get the coloring party started – astonishing and printable pictures, quiz and interesting facts about Spiderman are waiting for you!